Ah, the sweet whiff of steam and infant memories of always seeming to be arriving at or leaving Crewe station. Ha! Now you’ve got me, Robin. Sausage wagons? If they were there, I would not have been allowed to fix my gaze upon them. Too much chivvying going on from the mother figure. Actually, my memories are all of the underparts and couplings of carriages, and large oily wheels, and the steep drop on to the track, and the gap between the platform and doorstep thingies. And the tea urn steam in the caf. Happy days! How funny if our paths were crossing back then. Very Alan Garnerish. Happy New Year. I miss your presence on WP, though am sure you have much better things to do with your time. As do I, truth be told. 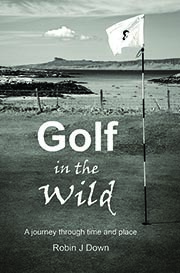 I must find more time for WP – about now the golf club admin begins to take over (end year accounts, AGM, etc etc) and before we know it the days are longer and there is much golf to play and motorcycles to be ridden. Fabulous images of great British engineering! Locomotives are just fascinating. You made a nice collection of images. Cheers! There’s something so nostalgic about the smell of steam and a locomotive engine. Wonderful photos as always. And Happy New Year to you, Robin. Thanks and likewise Julie, have a great 2019 – looks like you have found your way back home. some nice dutch tilts there!